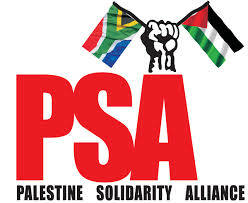 As the PSA we note with concern the allegations of sexual harassment made against BDS-SA member Muhammed Desai. We are also cognisant of the gravity that this matter has on our movement in general and BDS –SA in particular. We thus trust that the BDS-SA board will follow the due processes and act swiftly and fairly on this matter. We also take this opportunity to express our principled view that all forms of sexual harassment must not be tolerated in our movement and that the victims of such abuse must and will be supported by us. It is critical that the solidarity space in which we work must be safe for all activists. As human rights activists, we will speak out against all injustices and will continue in our solidarity efforts to build a strong BDS movement that will assist in the liberation of Palestine. At this stage we will await the outcome of BDS-SA’s internal processes as well as that of the courts.